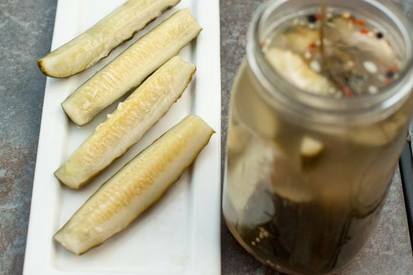 These super easy dill pickles had super simple ingredients and required minimal work. Sold. We’ve been so busy all the cooking we’ve been doing is just that, easy. 5 cucumbers, some yellow mustard seeds, peppercorns, red pepper flakes, garlic, dill, and also sea salt and some coriander I forgot to include in the picture.